Despite the plural name, the Fobs are a one-man band. The guy behind the curtain is Ethan Tapper, probably best known for fronting the "kazoo-core" gonzo Americana outfit the Burlington Bread Boys. After dropping two full-length albums in 2014, that crew is on indefinite hiatus. Tapper's newest project is about a billion miles away from that high-energy, earthy twang. With Creepin On You, he offers up a bedroom studio production that sounds like Wesley Willis and Daniel Johnston collaborating on a tribute to the Beach Boys. What does that mean, exactly? It boils down to canned beats, layered harmonies, Casio-sounding keyboard presets and a tonal range that doesn't move much. The lo-fi aesthetic is consistent to a fault through all 12 tracks. The vocals are gently distorted and soaked in reverb, which suits Tapper's quavering vocal tone perfectly. His future-primitive approach reduces any critical assessment to a single question: Is it catchy? It could be Stockholm syndrome, but, yeah, I think he nailed it. The only real downside to music is how easily mere repetition can render something "catchy," a problem humanity has yet to solve. Even the sparsest arrangements on Creepin On You manage to succeed as earworms. His hooks will haunt you, especially since listening to the album once is exactly like listening to the first four songs three times. Tapper proves himself a savvy studio orchestrator with bulletproof instincts for pop arrangements. There's a lot of polish and sophistication behind the nonchalant delivery and fuzzy mixing. Instrumentation is mostly guitars and synthesizers, and that doesn't do much to disguise the fact that he's using the same five drum samples for 50-plus minutes. That has a quirky charm, but it might fade quickly for a lot of listeners. While this is undeniably pop, Tapper is hardly aiming for mass appeal. The lyrics are irreverent, sometimes profane and sometimes just plain sweet. You're not going to find a lot of emotional depth or life insights here: This is shamelessly goofy stuff. Aside from odes to bicycles and Bigfoot, the majority of the songs are about crushes, breakups and the joyful pain of being in love. The vocals are so ethereal and chaotic, they're more of a melodic texture that blends in with the instruments. As such, Tapper's trite non-sequiturs aren't nearly as baffling as they would be if they dominated the mix. Something about the Fobs is disarmingly innocent, and that's the key ingredient that makes this recipe work. For listeners willing to indulge the weirdness, Creepin On You is a strange gem. 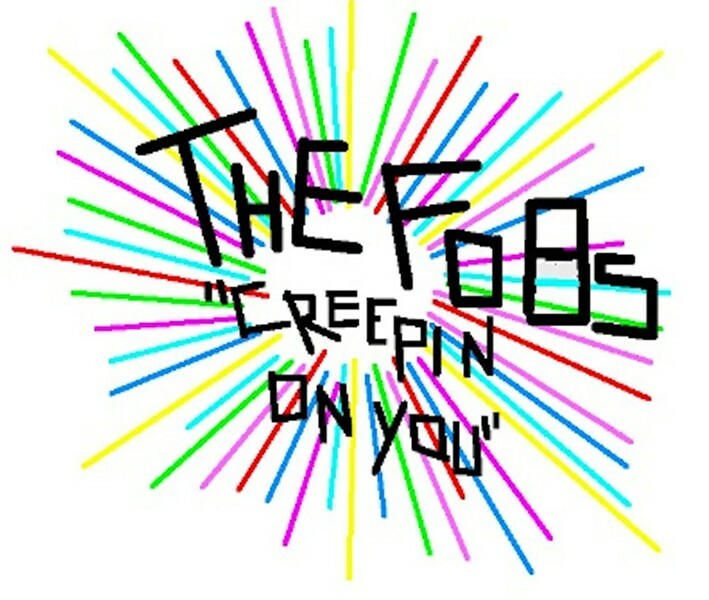 Creepin On You by the Fobs is available at thefobs.bandcamp.com.